Hannover Messe 2011 will offer the 170 000 expected visitors, a 360 degrees view on the latest industrial technologies. “Technology creates the world of tomorrow. Starting from now. 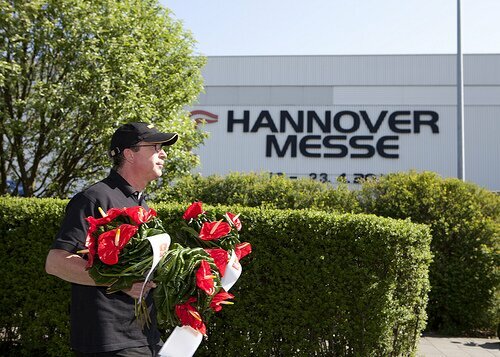 With its ability to boost the qualifying developments for the future, the Hannover Messe launches valuable signals to the areas of technology and offers plenty of room to propose solutions for the entire chain of value creation,” said Wolfram v. Fritsch, president of the Deutsche Messe. With 13 worldwide relevant trade fairs, the Hannover Messe 2011 presents all its power and importance as the scene where technologies and ideas for the future are shown. In those days of April, the international trade fairs on the several sectors in Hanover, are strictly related and integrated, so to allow cross industry and interdisciplinary exchanges. – Research & Technology: technology research, development and transfer. This entry was posted in Trade Fairs & Business and tagged Hannover.. It is actually a excellent and very helpful bit of info. I am happy that you shared this useful info around. You need to keep us informed like this. Thanks for sharing.